Dental insurance verification can become quite a tiresome process for most dental service providers. To most of them the process of verifying and calculating customer's benefits, claims, co-payments, etc. is not only cumbersome but, also affects the quality of their service. Are you too facing problems with dental insurance verification and looking for a reliable dental insurance verification company which can take this entire process off your hands? Well, look no further, as Outsource2india is the reliable provider of comprehensive dental insurance verification services in India. By hiring us you can ensure that you never have to be bothered about processing insurance verification data ever again. 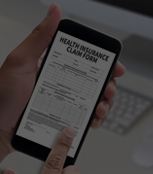 Additionally, it will allow your clients to receive your services on time and not have to face any implementation issues regarding insurance verification. 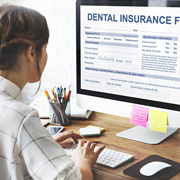 Small and mid-sized dental practitioners and companies prefer outsourcing dental insurance verification services to specialized support providers, as it gets taxing to meet the ever-increasing demand for dental insurance verification when the number of dental insurance holders increases. At Outsource2india, we ensure seamless dental insurance verification support by conducting a side-by-side comparison of reported values and the data provided by the insurers, proactively verifying all details like insurance policy coverage, patient records, benefits, etc. to ensure that the information is accurate. Once our team validates the patient's dental insurance, the report is sent so that you can continue with your customized treatment plan as per the estimated payment options. Once provided with the patient's details, we use different software like MISYS, Medisoft, Ortivus, Medical Manager, etc. for eligibility verification. We are quite persistent when it comes to finding out information from an insurance company. We tally all the details with the insurance company to ensure that no obligations on the part of the patient are due both before and after the treatment. Our experienced team of data handlers ensures that every last issue is resolved before the final report is submitted. 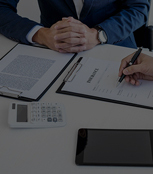 In case we notice missing information or any other unfulfilled obligation on the part of the client, our insurance commission experts get in touch with them directly to resolve said issues. We will also provide information regarding how much of the entire cost will need to be borne by the patient after the insurance is processed. We implement rigorous privacy, security, and confidentiality that safeguards at each rung of our department. We ensure this by the use of only FTP/SFTP servers for sending and receiving the files. Whatever the files we send and receive are always encrypted and protected with a password to add an extra layer of security. Why Offshore Dental Insurance Verification Services to Outsource2india? We are an ISO 9001:2000 certified company which strictly adheres to the HIPAA compliance standards and follow all CPT, HL7, HCPCS, & ICD-11 regulations and guidelines. Following these certifications and standards reduce ambiguity, and ensure standardization of universal processes across the department. We have been working for more than 20 years in the healthcare domain and understand all the nitty-gritty of insurance verification. Presence of 200+ healthcare and insurance verification executives and an extensively dedicated and professional management with a combined experience of over 100+ years ensure that our clients remain extremely satisfied with our offerings. Our pricing process is absolutely simple and based on the number of hours, units of work done, percentage collection, etc. You also have the option to personalize the pricing option based on your insurance verification requirement. We have defined SOPs, and conduct regular training programs and quality assurance (QA) inspections according to the mandated insurance best practices, which help us offer the best quality of services. We employ the latest technology and best insurance verification tools to ensure that the data we provide is devoid of inaccuracy. No matter what amount of information must be processed, we can always ensure the speedy delivery of services and therefore save you a lot of time. A personalized approach is taken towards solving the issues of individual accounts to provide accurate results in each case. Being part of the process, we ensure that all the details regarding the insurance commission are cleared out with the insurance company via phone calls and by logging into their company websites. We are an ISMS certified organization and ensure that all our processes are dealt with complete privacy. We take utmost care of the client's data security and ensure that their data is completely safe in our hands. Our executives are also available 24/7 so you can reach out to us with any problem or query regardless of which time zone you belong to. 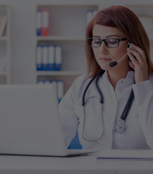 Read a case study to know how Outsource2india provided insurance eligibility services to a telemedicine provider. I wanted to inform you of what a great job O2I is doing for our firm. Vinoth Kumar and his team have done amazing work and are extremely reliable. Reach out to Outsource2india for a perfect and hassle-free insurance commission management outsourcing avenue. Get in touch with us to ensure smooth operational services regarding insurance verification support and receive the benefit of affordable resource management through outsourced services.